Gender equality in political participation may make a difference. Ross Macmillan, Naila Shofia, and Wendy Sigle show that women’s presence in national legislatures above a threshold of around 30 percent is associated with significant declines in childhood and maternal mortality, even after controlling for other features of women’s status like education and labour force participation. This association is particularly strong where economic and social development is low and democracy weak. A key priority in global public policy is gender equality and the empowerment of women, with expectations of synergies and spillovers for various development goals. This is seen quite forcefully in the United Nations’ Sustainable Development Goals that set global benchmarks for successful social development. In this framework, a significant area of emphasis is the political empowerment of women, with a goal of increasing the number of women participating in local and national decision-making. The need to establish such targets is justified for two reasons. First, women have been and continue to be marginalized in political decision-making. Data from the Inter-Parliamentary Union, for example, shows that the percentage of female legislators was close to zero in the early 1960s, with only three countries having more than 10 percent of women in parliament and no country over 20 percent. By 2015, the global average had risen to only 20 percent, with less than a quarter of countries at or above the UN Equal Opportunities Commission target of 30 percent. Despite expectations that gender equality in politics would increase with economic development and the expansion of democracy across the globe, indicators of female political empowerment are in fact only weakly correlated with economic development (see Figure 1a) and extent of democracy (see Figure 1b). A second case for targeting parliamentary seats is more instrumental and premised on the idea that having more female legislators – or having a sufficient share of them in the legislature – will lead to different, perhaps better, policy outcomes. With respect to population health, advocates argue that women’s continued primary responsibility for child rearing and childcare may make them uniquely oriented towards issues of child and maternal health (Wangneruud 2009). As politicians, women should then be more likely to favour social welfare funding and to initiate and implement policies and programmes aimed at improving health and well-being, and the health of mothers and children in particular. If that is the case, we might expect to see a link between the share of women in legislatures and improvements in population health. To-date evidence of such a link has been equivocal or even contradictory. In recent research (Macmillan, Shofia, and Sigle 2018), we sought a broader and deeper understanding of the relationship between population health and increases in the share of parliamentary seats held by women. We began with a large, diverse sample of 155 developed and developing countries spanning 1990 to 2014. These countries represented five continents and covered the developmental boom of recent decades that included significant economic development, as well as “third wave” democratization. Given arguments about the necessity of a “critical mass,” we explicitly distinguished high levels, in our case 30 percent or more, from other lower levels of representation (e.g., less than 10 percent, 10 to 20 percent, 20 to 30 percent). As we were particularly interested in the role of women’s political empowerment in processes of social and economic development, we focused on child and maternal mortality as globally valid and reliable indicators. 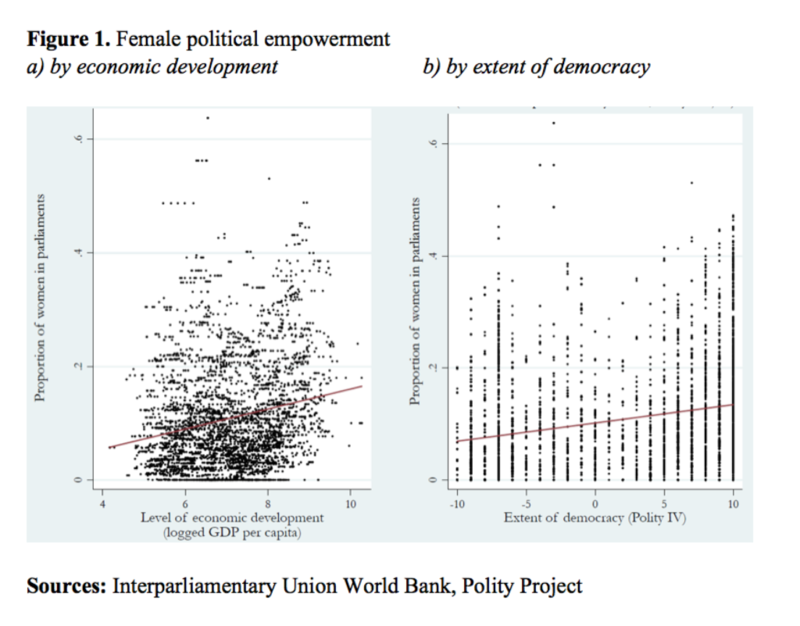 Drawing on the work of feminist political theorists, we considered how the broader political-economic context, notably the extent of economic development and democracy, might amplify or moderate the extent to which increases in the share of female representatives could have an impact on the policy agenda and lead to tangible health improvements. In our work, we explicitly examined the effects of changes in representation on mortality under different combinations of development and democracy, with the latter differentiating full democracies from those that are “anocratic” in that their political systems include a mix of democratic and non-democratic institutions and practices. 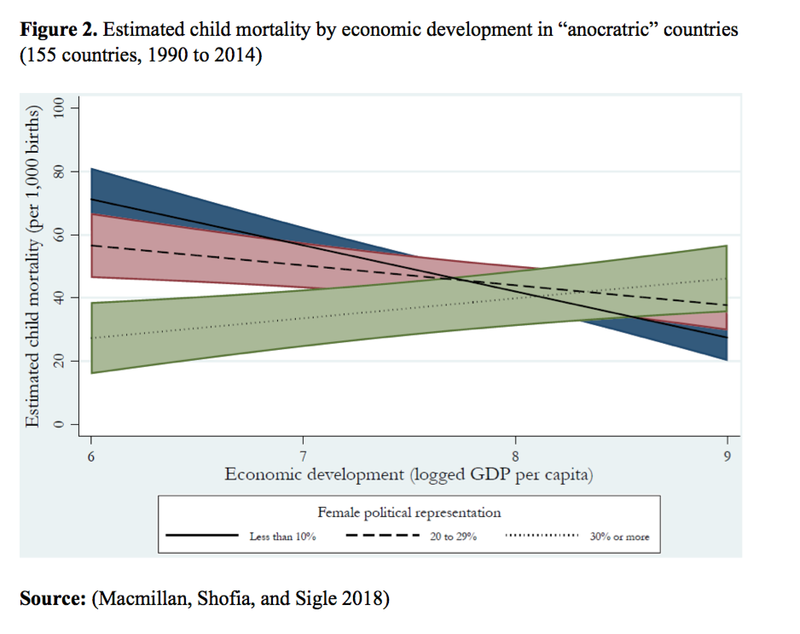 Figure 2 shows the estimated child mortality rates for conditions of low (less than 10 percent), moderate-high (20 to 29 percent) and high (30 percent or more) descriptive representation in anocracies, taking into account variations in the level of economic development. When economic development is low, there are clear differences with respect to female political representation. When the percentage of women in parliament is below 10 percent, estimated mortality is 70 per 1,000. This drops to 25 per 1,000 in countries that have crossed the ‘critical mass’ threshold of 30 percent of seats held by women. The difference of 45 points is very large. By comparison, the difference in child mortality between the lowest and highest development contexts (GDP per capita of $400 versus $8,100) is only 22 points. Moreover, for countries below the critical mass threshold, economic development exerts a strong negative impact upon mortality, which decreases from 70 to 30 per 1,000 births. In contrast, in countries that have crossed this threshold, there is effectively no change with increasing development: child mortality rates are low and remain low across the developmental spectrum. It is also the case that mortality remains high in countries below the 30 percent threshold regardless of whether the share of women in the legislature is effectively zero or 25 percent. When these results are combined, they yield a rather striking conclusion: a critical mass of women in the legislature leads to better-than-expected population health in low-income anocracies. In those countries, child mortality rates are no different to what is observed in rich countries. As we report in the original paper, this pattern holds for neonatal, infant, and maternal mortality and is robust to several different indicators of social and economic development (e.g., gross national income, extent of mass education, urbanization). Development goals revisited: Gender equality and the empowerment of women and girls in a global context. 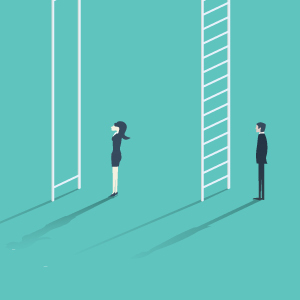 Although expectations are clear, there has actually been little research that demonstrates such inter-dependencies and this is particularly so with respect to gender equality and the empowerment of women. Our work tries to fill this gap, at least with respect to political empowerment, and shows that such dynamics may be particularly potent in contexts of low development and in weak or fledgling democracies. Researchers have been quick, perhaps too quick, to conclude that economic development is the sine qua non of mortality decline and slow to explore the broader social dynamics that fundamentally alter the conditions of everyday life that would foster better population health and perhaps stronger and broader social and economic development (Sen 1988). Our research points to the importance of political dynamics, specifically the composition of political bodies, as a unique determinant of mortality decline. In doing so, it helps explain acknowledged variability in the relationship between economic development and mortality declines (Preston 1975), as well as the limited relationship between expanded democracy and population health (Ross 2006). Economic development and increased democracy in the absence of gender equality in political representation does little to improve population health. At the same time, it seems clear that a critical mass of female legislators is a lynchpin for significant mortality decline. Given that only a minority of countries has achieved the UN recommended threshold and the minimal expectations for “natural” increases in female political participation with development and democracy, our work suggests that important population health gains could accrue from specific and targeted efforts to increase gender equality in political arenas as part of broader strategies for social and economic development. Here, our work may overlap with important discussions in a number of countries about the adoption of gender quotas whereby restrictions are placed on those who control recruitment into political office to ensure that there are either a specific proportion of female candidates (i.e., legal candidate or political party quotas) or reserved seats for female political officials. While the ultimately efficacy of such quotas is still being debated, our work is suggestive of important developmental gains from any strategy that increases the number of women in political office. Preston, S. H. (1975). The changing relation between mortality and level of economic development. Population studies, 29(2), 231-248. Ross, M. (2006). Is democracy good for the poor?. American Journal of Political Science, 50(4), 860-874. Sen A. (1988). The concept of development. Handbook of development economics, 1, 9-26. Wängnerud L. (2009). Women in parliaments: Descriptive and substantive representation. Annual Review of Political Science, 12, 51-69.